The past doesn't always fade into oblivion. For the past two years, computer archivist Jason Scott has been hard at work helping to improve the Internet Archive’s storehouse of historical software from classic PC games to old BBS content. On Saturday, Scott made a bold announcement, claiming the Internet Archive now houses the largest historical software collection in the world. “My provided goal was do for software what archive.org has been doing for [books, music, visual items, and Websites],” Scott said on his personal blog. “In short summary, I have done that.” Scott didn’t disclose the software collection's exact size, only that it is comprised of terabytes of data. If you’re a computer history buff, the Internet Archive’s software collection includes a variety of old programs, games, and utilities you can download. The archive is split into several sections, including the Shareware CD archive, PC games, mirrors of old FTP sites, programs pulled from old disk drives, and The Old School Emulation Center (TOSEC) for firmware and programs of classic computers and game consoles. A good chunk of the software archive, especially the games, consists of demo programs. Nevertheless, the site contains a ton of nostalgia-tinged goodies worth looking at. 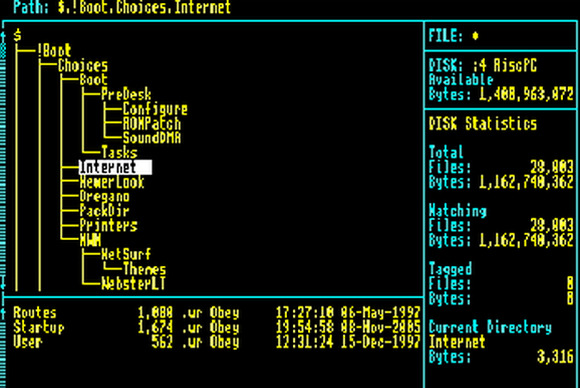 If you had an old DOS machine in the 1980s or early 1990s, then this utilities archive containing XTree—a fantastic old school file manager—will interest you. (That's it up top!) Commodore Amiga fans can download more than 30GB worth of utilities, games, applications, and operating systems for a variety of classic machines. Gamers looking to relive the glory days will be interested in the ColecoVision archive. There are also a massive number of classic PC games including demos of Star Wars Episode 1: Racer (1999),NHL 2001, and Doom (Shareware Episode) (1993). Old games don't always place nice with new operating systems. Even though you can download all this classic software goodness, running it on your PC may be a problem. If you’re still running Windows XP then a number of games might run on your machine, since your OS isn’t much younger than many of these antiquated titles. If you're running Windows 7 Professional, Ultimate, and Enterprise, you could also try XP Mode on your machine. Everyone else can try coaxing life back into an older program by right-clicking its .EXE file and selecting Properties>Compatibility. Next, click the checkbox and then choose the version of Windows the program was written for. This should get the program to run, but the end results are often buggy. 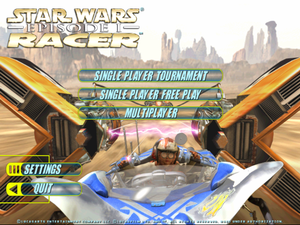 When I ran Star Wars Episode 1: Racer on a Windows 8 machine in compatibility mode for Windows 95, the game ran, but most of the background images were missing, making it impossible to see what was coming. So, you’ll probably have to run some kind of emulator to get these downloads to work, such as the WinUAE Amiga Emulator for Amiga software.